Sometimes people accuse me of spending too much time talking about mental illnesses, but I think we have spent far too much time not talking about them. 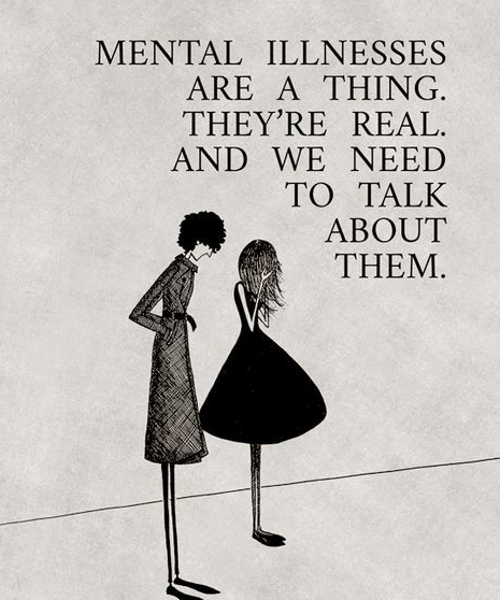 Mental illnesses are real, and so is the stigma against them. People won't talk because they're ashamed. They're ashamed because other people tell them not to talk. They don't talk, so they don't get help, and things don't get better. We need to talk so things can get better. If you or someone you know is in crisis, please call the National Suicide Prevention Lifeline at 1-800-273-TALK(8255) any time day or night. If you are in the USA, you can also text HOME to 741741. Someone is always there. You are not alone.